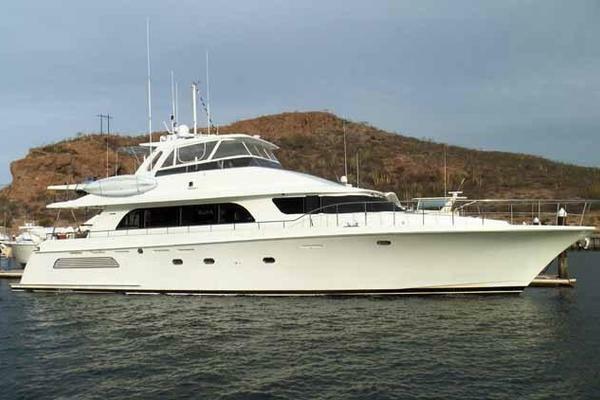 United Yacht Sales New Jersey would love to guide you through a personal showing of this 90' Cheoy Lee Raised Pilothouse Motor Yacht 1985. 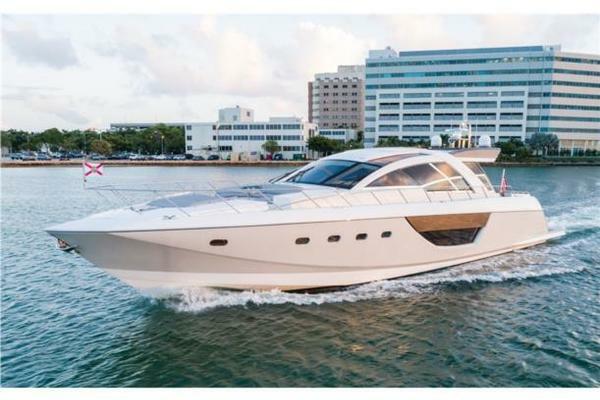 This yacht for sale is located in Fort lauderdale, Florida and priced at $890,000. For a showing please contact us by filling out the form on this page and we will get back to you shortly! Vessel Overview: Updates: This beautiful Long Range Motoryacht has had significant upgrades since its initial build. Interior refits were made in 2002 and again in 2008. In 2013 the surface layer of the Trilogy hull under the collaboration between Cheoy Lee, J.B. Hargrave Naval Architects, and P&SYacht Service. The purpose was to update the hull to the newervinylestertechnology for greater strength and longlife. This project was an investment of approximately $250,000. Interior accommodations: Trilogy lends itself to luxurious social areas for gatherings and entertainment and would make a superb corporate or private vessel incorporating business use. Sleeps 8 in 3 owner and guest staterooms. Crew accommodations include Captain's stateroom with private head and completely separate twin crew forward and one starboard full head and shower.The Master stateroom is aft with a king size berth. Two large cider-lined closets with ample storage under the berth. His and her dressers made of teakwood. Entertainment center w/flatscreen, surround sound. All marble Master-bath with decorative inlay, vanity with custom fixtures. Headhunter toilet, Two large custom medicine cabinet. Large shower, two opening ports, and teak louver blinds.Located forward of the master are the guest staterooms with twin berths, marble bath, and vanity, headhunter toilet, flat screen TV, and stereo. Laundry service is available in the gangway. The two twin staterooms can also be combined to create a two room VIP suite with his and hers baths Crew area also has a full laundry service.Main Salon can be accessed by the aft door and port and starboardmidships. Built into the forward bulkhead is the entertainment center concealed by a custom-builtbookcase. Inside is a 50" flat screen, under is storage for the computers, fax, printer, Bose sound system. The main salon and thought out the yacht has 7'3" headroom. Enclosed aft deck salon is a generous space with fridge freezer icemaker and wet bar.A light and cozy space with windows that open with stairs to the cockpit and wing doors both port and starboard leading to the side decks and seatingarea on the Bow. Install conversionfor two en-suite master staterooms or 1 master stateroom with 2 double guest rooms.